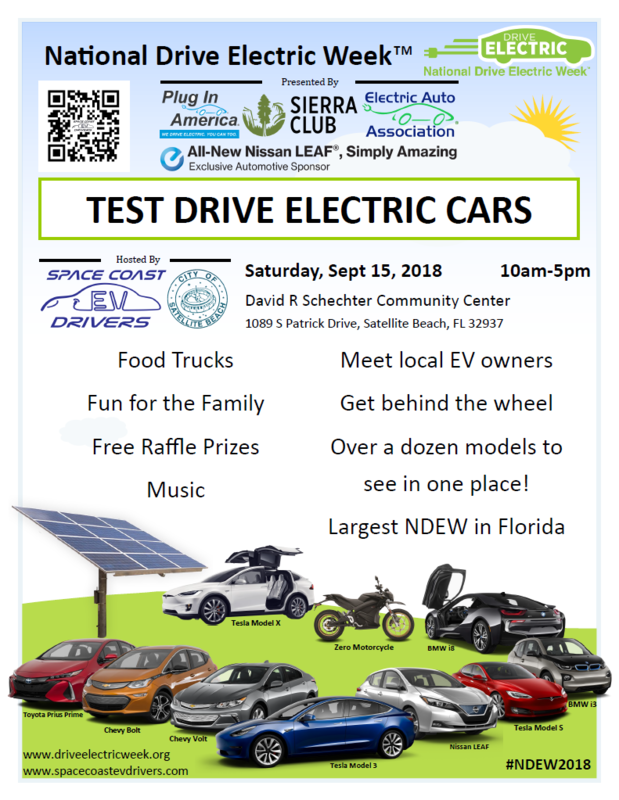 Josh Pritt, President of the Space Coast EV Drivers and Phil Stasik, club member talk about the event and your opportunity to test drive an electric vehicle and talk with the owners. This is a grassroots event put on entirely by local EV owners who want to share their love of their personal electric vehicles (EVs) they drive every day with the community. We had around 50 electric cars last year, we are going to try to break more than 60 EVs this year. So if you've ever wanted to see all the different makes and models of electric vehicles to choose from in one place AND ask questions from the people that drive them every single day to work, school, and on road trips, come on out to this event. We will have both static cars on display for you to look at and peek under the hood as well as a set of cars ready to take test ride-and-drives around the block! This is the BIGGEST TIME for ELECTRIC VEHICLES for the year around the whole nation (and other countries are getting on board too!). Bring the whole family and invite everyone you know to this free event and have all of your questions about driving on electricity answered by people who do it every day, love how their car drives, and save money on fuel and maintenance while they drive on locally created electrons.